In part one of this series about Bonaire daily life, I described what it is like when you wake up in paradise. But after waking up, real life starts, and real life on Bonaire, like in the rest of the world, means work. As you may have read in my resume, I work as a Dive Master, an underwater guide. It is a fantastic job, the best I ever had, but to make some money I have to do it part time. On my non-diving days I work from m y office. 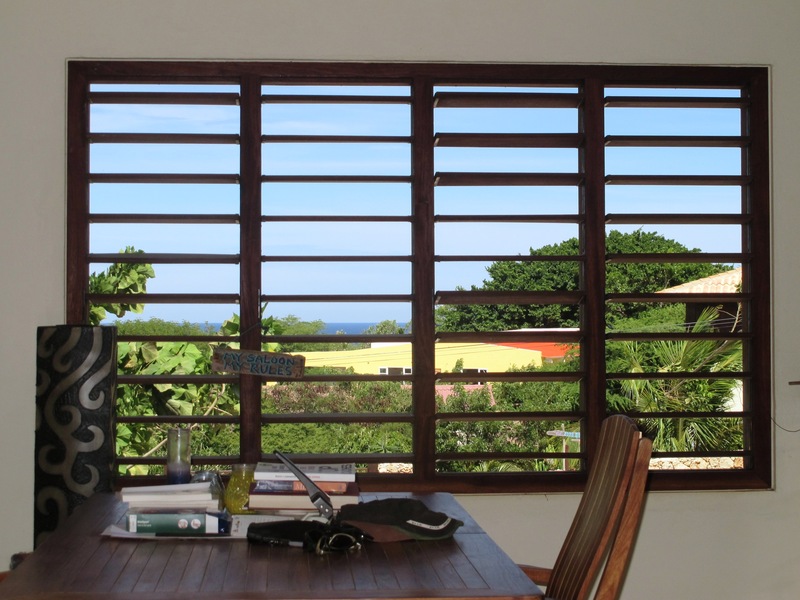 Not that I ever wanted to work in an office again after quitting my job in Holland, but my Bonaire office is different. It is indoors, a corner of my living room. But since my house only has open shutters and wide sliding doors, it feels like you’re outside. The trade winds still blow around my head. If I do not use paperweights, everything on my desk blows away, into the garden. 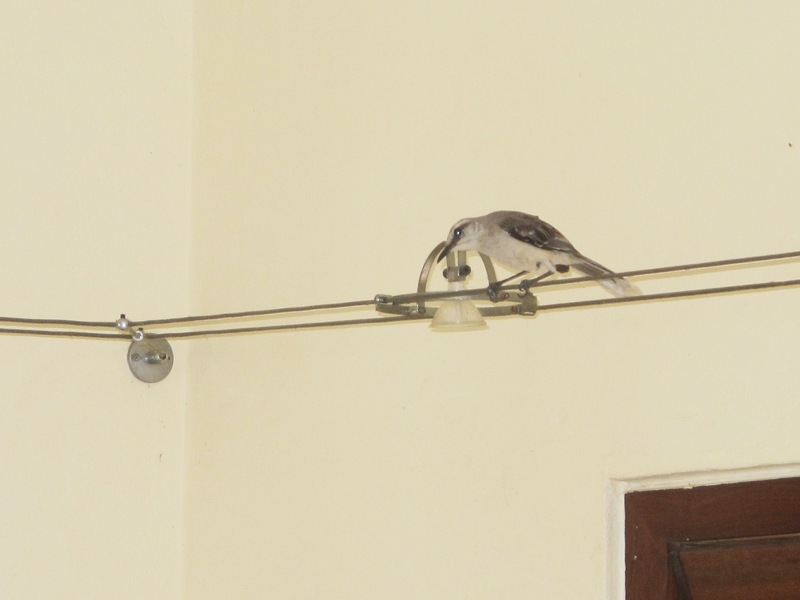 Tropical Mockingbirds and Bananaquit fly in and out to see if there is something to eat for them. Or to just use my office as a shortcut, come in on one side and fly straight out on the other. They love to sit inside and use my room as an amplifying s ounding board! And when I look away from my computer screen, I have an awesome view over the lower part of Bonaire, the small island of Klein Bonaire and the deep blue Caribbean Sea. Not your average office! My office work is not tax law anymore, I quit that 12 years ago. 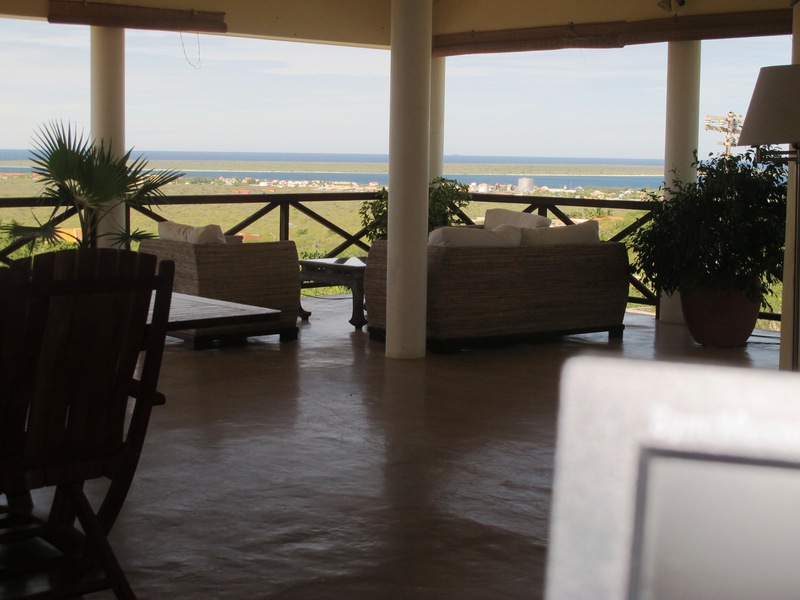 Nowadays I rent out my Sea View Apartment, write articles and interviews, do translations and some consultancy. Nothing too much, mind you, I only do the jobs that I like. I discovered that when you let go of the idea that you must join the rat race, good things come to you automatically. Even on Bonaire. When I have had enough of sitting behind my desk, there always is my garden to go physical. But I already wrote a blog about that! Or I go out and drive five minutes to the sea, to have a swim in crystal clear 27C/81F degree water. I don’t want to make you jealous, but I told you this blog is about why Bonaire is so special! My next blog will be about working as a Dive Master. 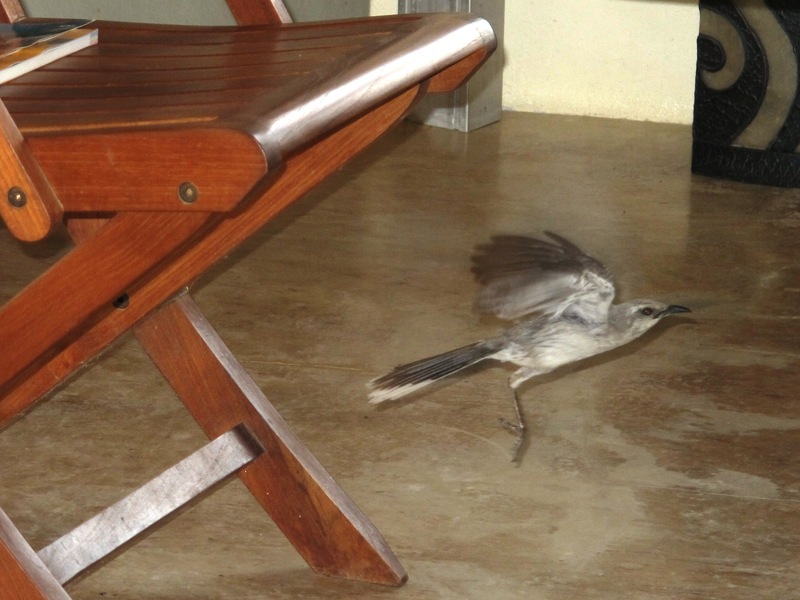 This entry was posted in Uncategorized and tagged bonaire, office, sea view apartment, tropical birds. Bookmark the permalink.